There are 3 cat videos tagged with cardboard-box. We're not sure how this video hasn't already gone viral! This video that was posted back in 2007 shows an adorable gray kitty playing with a Coca Cola box. The cute cat, Precious, uses her legs to push herself around. 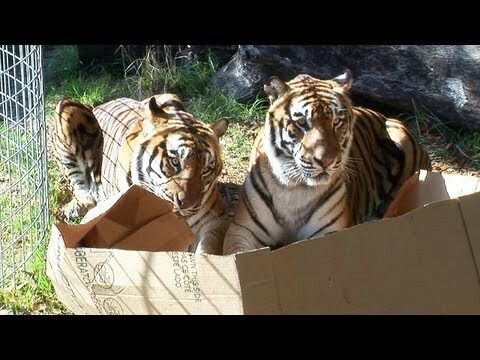 Some awesome humans put together a little jungle gym for their cats using a grid of cardboard boxes. These kitties are intrigued by the setup and they seem to enjoy jumping around inside. 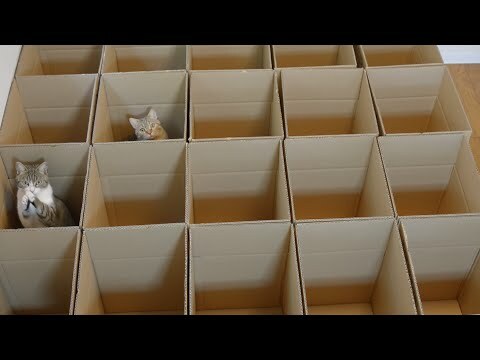 Hopefully they continue to have fun with their maze of boxes.